Portugal's policy of decriminalizing the use and possession of all drugs is winning well-deserved praise, but decriminalization is only a halfway step to ending drug prohibition, not the end of the road for reform, European activists say. 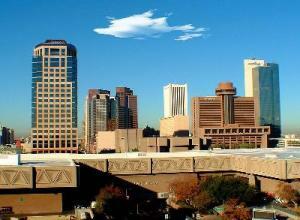 Chomping at the bit to get into the medical marijuana business in Arizona? There's a forum in Phoenix you might want to attend. 4. 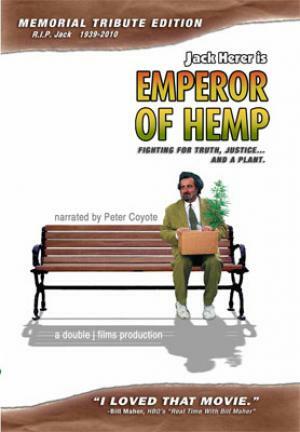 DVD Review: "Jack Herer is the Emperor of Hemp"
We review a memorial tribute edition of "Jack Herer is the Emperor of Hemp" that includes never seen interviews with Herer and the entire 1943 USDA film "Hemp for Victory." It is most worthy. Sticky-fingered law enforcement seems to be the theme this week. Will Ciudad Juarez reach a death toll of 3,000 this year? It will if December is like November was. Synthetic marijuana products sold as incense or potpourri under brand names like K2 and Spice have been banned in an emergency move by the DEA. You have 30 days before the ban takes effect. It only took three weeks from Election Day, but California medical marijuana foe and Republican attorney general candidate Steve Cooley has finally conceded defeat to Democrat Kamala Harris. 9. Willie Nelson Wants Marijuana Legalization "Teapot Party"
An American music icon is calling for a political party devoted to marijuana legalization after his third pot bust in five years. Like Dracula arising from his grave, the Canadian Conservatives' mandatory minimum crime bill is back. It just passed the Senate and now heads for the House of Commons. Half of all Canadians continue to want to free the weed, but strangely enough, almost two-thirds favor mandatory minimums for growing as few as five pot plants. That last finding may be an artifact, though. 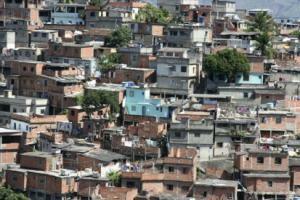 In early preparations for the World Cup and the Olympics, authorities in Rio de Janeiro are trying to run the drug gangs out of the shantytowns. The drug gangs aren't going without a fight. The Portuguese government has garnered well-earned plaudits for its nine-year-old policy of the decriminalization of drug possession, first last year from Glenn Greenwald in a White Paper commissioned by the Cato Institute, and just last month in a new academic study in the British Journal of Criminology. But while they applaud the Portuguese government for embracing decriminalization, some drug user advocates there are saying there is more to be done. 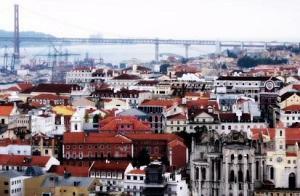 Portugal broke new ground back in July 2001 when it decriminalized the possession of up to a 10-day supply of all illicit drugs. Under the new policy, drug users caught with drugs are not arrested, but are instead referred to regional "committees for the dissuasion of addiction." Those committees are empowered to impose warnings or administrative penalties, including fines, restrictions on driving, and referral to treatment. But in most cases, the committees simply suspend the proceedings, meaning that, in effect, no punishment is meted out. The decriminalization policy has been accompanied by increased investment in treatment and harm reduction services, including methadone maintenance for people addicted to heroin. As Greenwald found last year, and researchers Dr. Caitlin Hughes and Professor Alex Stevens last month, decriminalization is working. Hughes and Stevens found that while there had been a modest increase in drug use by adults, it was in line with increases reported by other southern European countries. While drug use increased modestly, Hughes and Stevens were able to report that the harms associated with drug use had decreased under decriminalization. They found a reduction in the rate of spread of HIV/AIDS, a reduction in drug-related deaths, and a reduction in drug use by adolescents. They also found that drug seizures had increased under decriminalization. For Hughes and Stevens, the Portuguese experiment was also significant because it showed that decriminalization reduces harm for all drugs, not just marijuana. "Such effects can be observed when decriminalizing all drugs," they wrote. "This is important, as decriminalization is commonly restricted to cannabis alone." Speaking in New York last week, Stevens elaborated: "The evidence from Portugal suggests that we could end the criminalization of users of all types of drugs -- and not just marijuana -- without increasing drug use and harms. It also shows the importance of continued investment in treatment services and harm reduction to reduce drug-related deaths and HIV." But while Portugal's decriminalization is gathering praise from abroad, the view from the ground is a bit more nuanced. Decriminalization has improved the lives of drug users, but much remains to be done, said Jorge Roque, a Portuguese attorney who works with the European Coalition for Just and Effective Drug Policies (ENCOD), the International Network of People Who Use Drugs (INPUD), and the Portuguese group Diferenca Real, which attempts to improve conditions for drug users there. "Decriminalization allowed drug users to stop being persecuted by the police and helped many of them realize they are not criminals simply because they chose to use drugs," said Roque. "And many people are now receiving help from the drug attendance centers," where addicted drug users may be sent after being caught. "Many drug users are trying hard to stay within the law, because if one isn't a criminal just for using drugs and one can pay for his drugs through his job, he doesn't want to be identified as a criminal, which was impossible before decriminalization." Decriminalization has also led to changes in policing, said Roque. "After some time, the police shifted from arresting drug users to going after small-time dealers," he noted. "The police realized that arresting the small-timers is the best way to catch the big sharks," he said, alluding to the continuing black market drug trade. "The black market remains. Decriminalization didn't stop that," Roque said. "The majority of drug-related crime wasn't caused by using a drug," the attorney continued, "but by committing an offense to buy drugs. Decriminalization is an important step, but it is only a step. Drug distribution is still forbidden in Portugal, and that means traffickers have a monopoly on the drug supply, and as a result, the prices are very high. So many people commit small thefts to buy their drugs, and the police try to control them and the drug neighborhoods with all the usual abuses." The Portuguese government should not be sitting on its laurels, Roque said. While it deserves praise for what it has done, it has not done enough, he said. "We are completely happy that the government decriminalized drug use, but the drug situation is very complex and touches on many different aspects -- legal, political, health, social, economic, morality -- and we have some demands that we think the government is not addressing because it is satisfied with what it has done with decriminalization," said Roque. That point was echoed by Joep Oomen, head of ENCOD. If the Portuguese government stops with just decriminalization, it will be just as hypocritical as any other government, he said. "By decriminalizing the use and possession of small quantities of illegal drugs, Portugal has reduced the immediate damage of drug prohibition," Oomen said. "The police don't persecute users and petty dealers as much, and problematic users find their way to health services. But decriminalization has not solved the main problem of prohibition: Drugs continue to be distributed by traffickers who inflate the price, impose criminal marketing methods, and have minimal concern for product quality or the safety of consumers. If Portuguese authorities do not take the next step toward legal regulation of the market, their policies will remain as hypocritical as those of any other country," he said. But that's unlikely any time in the near future, said Roque. Even other drug reforms this side of ending prohibition are now stalled, he said. "After all the international news reporting on the success of decriminalization in Portugal, the politicians' egos are so big they think they don't need to do anything else," said Roque. "But many drug users want to see safe injection sites, heroin maintenance programs, and the like, instead of just decriminalizing use. Similarly, the cannabis reform bill is still stuck in parliament waiting for approval. The government says it is busy with the international financial crisis and now our own public deficit, and can't do anything, even though this could mean revenues for the government." With its drug decriminalization policy, Portugal has indeed become a beacon to the world, a model of progressive drug reform that could and should be emulated elsewhere. But as Roque and Oomen make clear, decriminalization is only half the battle. Jack Herer, author of "The Emperor Wears No Clothes," and arguably "the greatest cannabis crusader of all time," died in April after suffering a heart attack at the Portland Hempstalk Festival eight months earlier. The passing of the movement icon prompted the release of this memorial tribute edition of "Jack Herer is the Emperor of Hemp," which updates the decade-old release with new interview footage with the prophet of hemp and includes the entire 1943 Department of Agriculture film "Hemp for Victory." Herer's story is a true American journey (and by the way, it's pronounced HAIR-er, not Huh-RARE). Born in 1939, Herer entered the 1960s as a conservative -- an Army veteran and Goldwater supporter, married and living in California's Central Valley, who was offended by the upheavals of the time, disgusted by anti-war protestors, and blamed much of the upheaval on the demon weed. Who knew? By the following decade, things had changed dramatically. 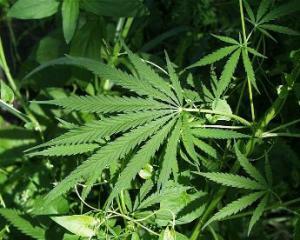 Divorced, Herer's new girlfriend persuaded him to try marijuana. Here, the DVD shows a dancing girl as Norman Greenbaum's "Spirit in the Sky" booms out on the soundtrack, an apt evocation of Herer's transformation from military policeman to hippie, from Goldwater Republican to radical. With Emmy Award winner Peter Coyote narrating, and with archival footage and interviews from the likes of NORML's Keith Stroup, historian Michael Aldrich, Kevin Zeese, and Dr. John Morgan, "Jack Herer" tracks Herer's odyssey from author of a 1973 marijuana cartoon book to his subsequent experience as recipient of knowledge from innumerable people about not just pot, but hemp, and all its uses, his opening of the first hemp store on Venice Beach in 1979, and ultimately the publication of the book that made him famous and re-energized the marijuana legalization movement, "The Emperor Wears No Clothes." The DVD acknowledges the early conflicts between Herer and the drug reform movement, which at first considered him at best an over-enthusiastic partisan and at worst a crank. Herer thought hemp could be central to ending marijuana prohibition, not to mention that it could "save the world," and the be-suited boys back East weren't buying what that wild-eyed, tie-dyed, missionary Californian was selling. A number of years later, the movement types were suitable contrite. "He overstated the case a bit," said Stroup. "We were embarrassed; we thought it could undermine our credibility." Instead Herer almost singlehandedly revitalized the pot movement with the 1985 publication of "The Emperor Wears No Clothes," the magnum opus of hemp, and an intoxicating combination of unknown history, polemics, and passion that turned a new generation on not just to hemp, but to pot, the history of its criminalization, and the need to undo prohibition. "Jack Herer" describes the tenets of "The Emperor Wears No Clothes" fairly without wholeheartedly endorsing his theory of an evil troika of Harry Anslinger, the Dupont family, and Andrew Mellon conspiring to bring on prohibition. And I think that's fair. Herer's conspirators most certainly played a role in pot prohibition, but the anti-marijuana movement was alive and well in this country well before Anslinger and the others were active in the 1930s. Maybe hemp won't "save the world," but there is no arguing that it is a tremendously valuable plant with a multitude of uses that can help improve the environment, create jobs, and provide us with everything from biodiesel to body panels to an ever-increasing variety of hemp-based foods. And Herer's perhaps overenthusiastic message was received enthusiastically by that new generation, especially when tied to his never-forgotten broader campaign to legalize marijuana, beginning with initiative campaigns back in the 1970s. Between bringing hemp to the forefront and energizing a movement suffering through the depths of the Reagan Era, Herer cemented his place in movement history. But he didn't stop there. In fact, he didn't stop until he fell over unconscious at a movement event just after giving one last speech. Herer was a movement presence throughout the 1990s, and by then, had won the acceptance of the movement, which recognized the enormous contribution he had made. Despite a 2001 stroke that laid him low, he bounced back, still out proselytizing and organizing, even as he moved slowly and struggled to control his voice. In California, at least, every marijuana movement figure of a certain age knew Jack Herer. Whether from his days as the hemp hawker of Venice Beach or the decades of activism that followed, Herer has made a lasting impact on California's -- and indeed, the country's -- marijuana legalization movement. "Jack Herer is the Emperor of Hemp" pays fond homage to a true movement hero. It is definitely worth checking out, especially as you ponder the man, his life's work, and his impact on the marijuana reform movement. In Maywood, Illinois, a Maywood police officer was charged November 24 with stealing cash from suspects after being snared in a federal sting operation. Officer Robert Welch, a tactical officer focused on suppressing gang activity, went down after the mother of an African-American youth he had stopped and frisked complained that he stole $20 from the boy. In the subsequent sting, Welch stole $240 from an undercover FBI agent he had detained as a drug suspect. He admitted ripping off other suspects, usually drug suspects, for the past six months. He is on administrative leave. In San Antonio, Texas, two former Bexar County narcotics detectives were indicted November 24 on charges related to their work on the Bexar County Narcotics Unit. Deputy Charles Flores was indicted on five counts, including theft by a public servant $1,500 to $20,000, misapplication by a fiduciary, and aggravated perjury. Deputy Anthony Alvarado was indicted on four counts, including theft by public servant $1,500 to $20,000; misapplication by a fiduciary and abuse of official capacity. Aggravated perjury and theft by public servants are both third-degree felonies, punishable by two to 10 years in prison. The other charges are state jail felonies, punishable by up to two years in state jail. 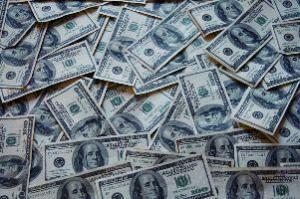 In Los Angeles, a state narcotics agent was arrested November 16 on charges he stole money from drug suspects. California Department of Justice Bureau of Narcotics Agent Gabriel Baltodano, 35, went down in a sting in which he stole $33,000 from an undercover agent. He came under internal investigation after fellow agents were "alerted to the possibility" he was stealing cash from drug suspects. He is charged with grand theft and embezzlement and is looking at up to four years in state prison. His bail was set at $125,000. 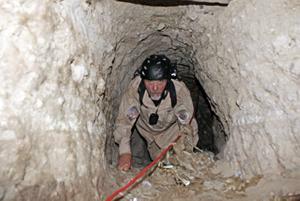 just another drug smuggling tunnel -- how many more? In Tijuana, the Mayor-Elect said he will replace police chiefJulian Leyzaola. Leyzaola, who took office in December 2008, was widely praised by the US and Mexican governments for his efforts to root out corruption in city police forces and for his efforts against cartels. Leyzaola has also been accused of police brutality and human rights abuses, and the state human rights ombudsman has said that Leyzaola personally participated in beatings of suspects accused of killings police officers. Several officers accused of corruption have said they were tortured by men under Leyzaola's command. On the border between Tijuana and San Diego, authorities discovered a half-mile tunnel and seized some 20 tons of marijuana. It is the second such discovery in the past month. Eight people were arrested, three of them on the American side of the border. In Ciudad Juarez, police arrested a leader of the Aztecas gang who stands accused of being a key player in the violence in the city. Arturo Gallegos, 32, aka "El Farmero" is accused of being involved in 80% of the killings that have taken place in the city since August, including the murder of two US consulate employees, the murder of five federal police officers, and the massacre of 14 students at a house party. He is also suspected of being involved in drug trafficking, kidnapping, and extortion. The Aztecas gang works for La Linea, the armed wing of the Juarez Cartel. In Palomas, Chihuahua, 20 bodies were discovered buried at a ranch. Soldiers discovered the site after being tipped off by several recently captured cartel members. Mexican news sources later reported that at least one of the dead had been identified as a US citizen. In Meoqui, Chihuahua, a female police chief was gunned down. Hermila Garcia, 36, was ambushed by gunmen as she drove through the center of town. Several women have taken police chief positions in northern Mexico recently, as many potential male candidates are frightened that they will be assassinated. In Michoacan, police arrested a suspected leader of La Familia Michoacana. Jose Alfredo Landa, 37, was thought to be in charge of LFM operations in the city of Morelia. Three other individuals were arrested and an AK-47 was seized, along with more than two dozen property titles and other documents that had come from various extortion plots he was involved in. In Ciudad Juarez, ten people were murdered in several incidents in the city. This brings the monthly death toll to approximately 194 for the November, making it the second least violent month of 2010. According to El Diario, a local newspaper, 2,887 people have been murdered in Ciudad Juarez in 2010 as of December 1. The US Drug Enforcement Administration (DEA) announced Wednesday that it is issuing an emergency ban on five chemicals used to make synthetic marijuana products. The ban will go into effect in 30 days and will at least temporarily place the chemicals on Schedule I of the Controlled Substances Act. Marketed as incense and sold under names including Spice and K2, the stuff has grown increasingly popular since it first appeared on store shelves around two years ago. Spurred on by prohibitionist reflex, as well as reports of emergency room visits and calls to poison centers, 15 states have already banned synthetic pot products. Similar legislation is pending in several more. Last week, powerful Sen. Orrin Hatch (R-UT) wrote a letter to the DEA seeking a federal ban. The ban announced Wednesday is temporary and will be in effect for one year, with the possibility of a six-month extension. During that period, DEA and the Department of Health and Human Services will decide whether the substances should be permanently controlled. The Drug Policy Alliance (DPA) was quick to criticize the DEA's move. "The DEA says that prohibiting synthetic marijuana will 'control' it – yet we know from history that prohibition is the complete opposite of drug control," said DPA spokesman Tony Newman in a Wednesday press release. "DPA is advocating for establishing regulatory restrictions, such as age limits and product labeling requirements, rather than banning it outright and relegating it to the black market." Despite approximately 2,000 poison control center contacts from synthetic pot users complaining of a variety of symptoms including nausea, rapid heartbeat, and disorientation, DPA noted that there are no known cases of fatal synthetic pot overdoses and that there is no evidence the stuff is addictive. 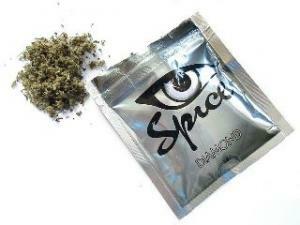 "Scheduling [synthetic marijuana] as a controlled substance will have unintended detrimental consequences," DPA warned. "If K2 were banned outright, young adults could face immediate, devastating and life-long legal barriers to education, employment, voting and government benefits for K2-related drug law violations, despite a lack of evidence of harm to themselves or others. The use of scarce government funds to enforce, prosecute and incarcerate people who use K2 would put a strain on criminal justice resources." Los Angeles County prosecutor Steve Cooley has conceded victory to San Francisco County prosecutor Kamala Harris in the race for California attorney general. Cooley had led on election day, but Harris moved ahead during the late vote count and, according to California secretary of state's office, now leads 46.0% to 45.5%. Although the results are not yet official, Harris leads by 54,000 votes with only a few tens of thousands left to count. Cooley was strongly opposed by medical marijuana supporters because of his record as LA county prosecutor. He condoned dozens of SWAT-style raids on dispensaries, collaborated with the DEA, aggressively prosecuted patients and providers, and argued that any medical marijuana sales by dispensaries were illegal. He was backed by the California Narcotics Officers Association, which has called for the "eradication" of dispensaries. 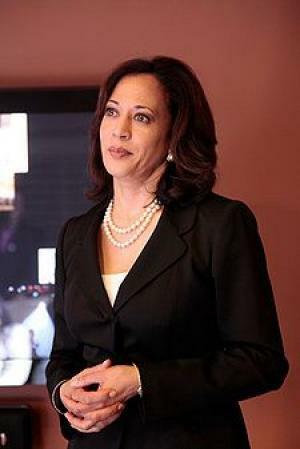 Harris, on the other hand, has consistently supported the state medical marijuana laws. As San Francisco prosecutor, she also oversaw one of the first dispensary regulation ordinances in the country. "A defeat for Steve Cooley is a tremendous victory for patients," said Steph Sherer, executive director of Americans for Safe Access. "Not only will we have an ally in Kamala Harris to be able to advance civil rights protections for patients, but we have also shown that medical marijuana advocates are a powerful political force. This race shows that medical marijuana patients cannot be marginalized without a political consequence," Sherer concluded. After his third pot possession bust in five years, country music legend Willie Nelson has had enough. He told former High Times editor Steve Bloom's CelebStoner web site Sunday it is time for a new, pro-marijuana political party. "There's the Tea Party. How about the Teapot Party? Our motto: We lean a little to the left," Nelson said. "Tax it, regulate it and legalize it, and stop the border wars over drugs. Why should the drug lords make all the money? Thousands of lives will be saved." 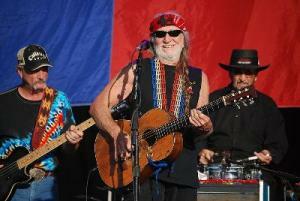 A Willie Nelson's Teapot Party Facebook page went online Sunday, as well. Nelson was arrested Friday at a border checkpoint in Sierra Blanca, Texas, on Friday after officials smelled marijuana. They searched the vehicle with drug-sniffing dogs and found six ounces of pot. Nelson was arrested and jailed until he posted a $2,500 bond later that afternoon. Nelson's arrest was just one of what are likely to be around 900,000 pot busts this year, the vast majority for simple possession. Last year, more than 850,000 people were arrested for marijuana offenses. Despite a raft of recent polls showing increasing support for marijuana legalization nationwide and majority support on the West Coast, the number of members of Congress showing any interest in moving toward marijuana legalization remains in the single digits OR can be counted on one hand. However, there have been rumors of support in some influential Democratic circles for marijuana legalization as a get-out-the-vote strategy. Dozens of Democratic organizations in California lent their endorsement to this year's Prop 19 ballot initiative, as did the Republican Liberty Caucus. Exactly 50% of Canadians support legalizing marijuana, according to poll results released Monday by Angus-Reid Public Opinion. Some 44% oppose legalization, with 6% undecided. Support for legalization has declined slightly when compared to Angus-Reid polls in 2008 and earlier this year. In both those polls, support for legalization was at 53%. But the difference is within the poll's +/- 3.1% margin of error. Support for pot legalization was highest in Manitoba and Saskatechewan (61%), British Columbia (54%), and Ontario (51%). Support was weakest in Alberta (45%). The poll also asked about support for legalizing drugs other than marijuana. In no case was support for legalizing hard drugs higher than 10%. The poll also queried respondents on whether Canada has a "drug problem" and how serious it is, as well as their positions on several drug policy-related government proposals. Slightly more than a third (37%) thought Canada has a drug abuse problem that affects the whole country, while 41% thought the drug abuse problem was reserved for "specific areas and people." Only 11% thought Canada did not have a serious drug problem, and 10% had no opinion or didn't know. When it came to policies, there was strong (81%) support for a National Anti-Drug Strategy, including a national youth awareness campaign to keep kids off drugs. But the Conservative government's push against harm reduction measures, such as needle exchanges and Vancouver's safe injection site was supported by only 35% of respondents and its scrapping of the previous Liberal government's pot decriminalization proposal was supported by only 33%. 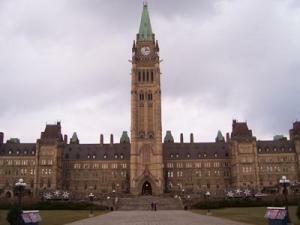 But somewhat paradoxically, while half of Canadians support pot legalization and nearly as many (47%) support the Liberal decriminalization plan, nearly two-thirds (64%) support the Conservatives' bill to impose mandatory minimum sentences on people growing as few as five pot plants, as well as people convicting of selling other drugs. That number may, however, be an artifact resulting from the question design, which conflated "marijuana grow operators" and "drug dealers." It appears that marijuana is indeed related to schizophrenia--at least in the Canadian political psyche.